So you've been told you should blog about your business? Maybe you already do. But perhaps you have no idea how to cut through the noise. Don't stress! It's easier than you think. If yours is an established small business with high marks for customer loyalty, chances are you already have a unique personality and voice. Now it's time to use it. The most successful businesses have a human voice behind them. It can be tricky for big companies to convey their personality or even decide what it is, but for small businesses it's simple: be true to who you are. Customers respond positively to authenticity and a personable approach. Blog about topics you've discussed with customers, write in a conversational tone, and include your personal opinion. Readers should be able to sense you (the owner) behind the blog. Rather than talking about yourself or your business, talk about the passion points you share with your customers or trends within your industry. Blogging about shared interests creates a deeper engagement than anything self-promotional. Most likely you already have a strong sense of who your customers are and what they want, but many small businesses owners fail to carry this intuition over to their blogs. Consider what knowledge, advice, inspiration or humour you can share with your customers. Simply put, create value that will keep them coming back for more. Don't make the mistake of seeing your blog as a direct way to acquire new customers or sell more products. While this is likely your end goal, a direct sales approach is a big turnoff for readers. Instead, measure success by engagement, such as shares, comments and clickthroughs. This is a better indication that people like what you're doing. Get this right and the boost to the bottom line will come. You might create the best blog content in the world, but what's the point if people can't find it? Design a blog with an intuitive user experience; make it easy to navigate, simplify the interface and make the creative clear and uncluttered. If it'sa pleasure to use, people are more likely to linger. And dont forget to share your blog across your social media channels, making it easy for your customers to find, read and share. One of the most important elements of successful blogging is being consistent. Regular activity is just as important as good quality content and clever branding. Search engines are more likely to favourably index a site with relevant and fresh content, and regular readers expect regular news. If you are time poor, focus on doing more short posts as opposed to writing long-winded articles. The best business blogs read like magazine or newspaper content with the personality and insider knowledge of an industry leader. It should be entertaining and informative, well researched and regularly published. Most importantly, it should sound just like you. What are some of the best business blogs you've come across? 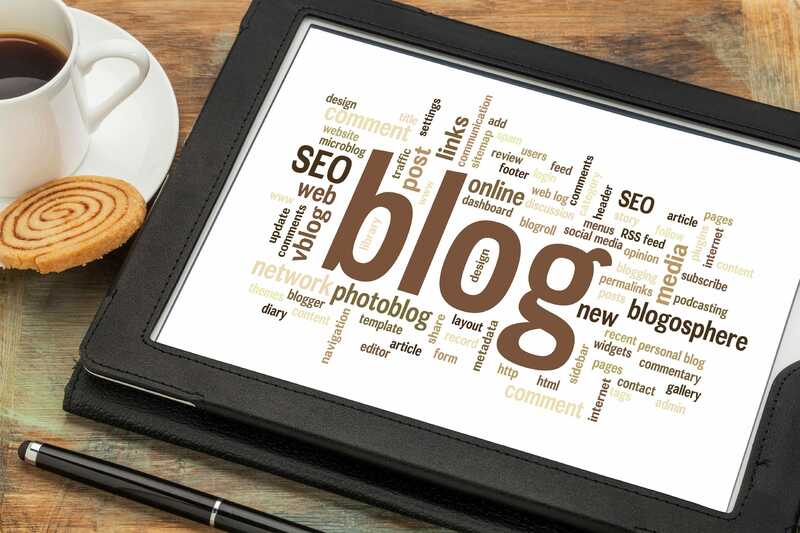 Our team of professional content writers will create two blog posts per month, written specifically for you and your business on the subjects of your choosing. This method of blogging is hassle free and provides you with professional content delivered to you twice a month. For more information contact your local Bloomtools Consultant.